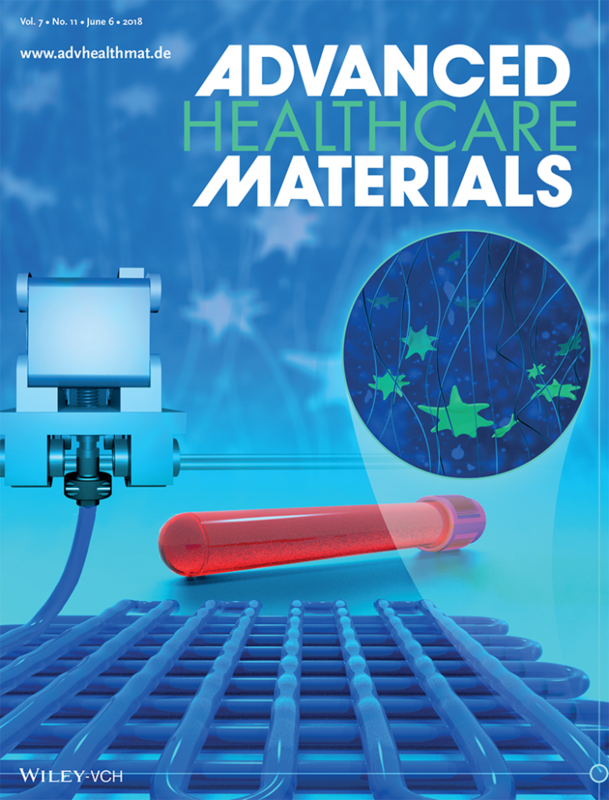 On the Cover: Ali Tamayol and colleagues are developing alginate‐based bioinks that carry platelet-rich plasma as a source of growth factors and are compatible with commercial bioprinters. The use of autologous PRP in the bioinks is an important step towards bioprinting patient-specific tissues and scaffolds. Negar Faramarzi, Iman K. Yazdi, Mahboubeh Nabavinia, Andrea Gemma, Adele Fanelli, Andrea Caizzone, Leon M. Ptaszek, Indranil Sinha, Ali Khademhosseini, Jeremy N. Ruskin, Ali Tamayol. June 2018. 3D Bioprinting: Patient-Specific Bioinks for 3D Bioprinting of Tissue Engineering Scaffolds. Advanced Healthcare Materials 7(11). Ali Tamayol is an assistant professor in the Department of Mechanical and Materials Engineering.